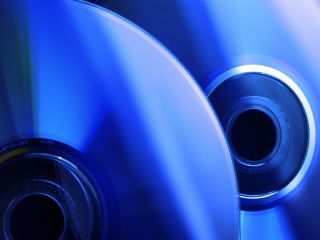 Taxi Driver director Martin Scorsese has been speaking about the virtues of Blu-ray this week, saying the hi-def format "will extend the life of movies". Speaking via video-link at Blu-con 2.0, a US symposium celebrating all things home entertainment, the director was positively glowing about the format explaining: "It's like experiencing the film for the first time again" and "it's not just the details of the eyes or such; it creates a completely different experience." Scorsese even compared HD to 35mm, noting that it brings a "film-grain quality" to movies and "allows the film to be seen as closely as possible to how it was intended to be." When asked what his favourite Blu-ray movie was, Scorsese revealed it was The Searchers and that there's "something about the beauty of the landscape and the nature of the faces – you put it on just to check something out, and you can't take it off." It seems that his Blu-ray seal of approval has got other director's interested (finally) in using the format to rekindle old movies as well as the latest films, with Sony's Senior VP of Restoration and Mastering Grover Crisp telling audiences at the conference that the director has now piqued the interest of directors like Michael Mann and Christopher Nolan into readying their back catalogue for Blu-ray release.